Signe Bisgaard is a young Danish, Aarhus-based composer-pianist who focuses on exploring the improvisational possibilities in through-composed music. The title of her debut solo album, Meander, alludes to the curved, stretched course of her compositions. Likewise, Bisgaard compositions move organically between through-composed music and open improvisational passages, offering surprising detours from any familiar, conventional courses. Bisgaard assembled an impressive ensemble of eleven musicians to record her challenging compositions, among them trumpeter Jakob Buchanan (who often collaborates with pianist Simon Toldam and percussionist Marilyn Mazur), sax player and flutist Julie Kjær (now playing in Paal Nilssen-Love’s Large Unit and before with London Improvisers Orchestra), sax player Christian Vuust, guitarist Mark Solborg and Norwegian percussionist Helge Norbakken (member of pianist Jon Balke’s ensembles). This ensemble transforms Bisgaard's arresting musical vision into a unique listening experience. 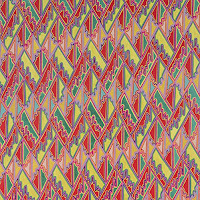 Bisgaard's compositions demand careful, repeated listening as the layers upon layers of her ideas and compositional strategies become clear. 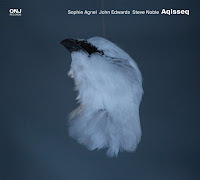 At first, her lyrical compositions sound minimalist and restrained, balancing between delicate, subtle contemporary chamber music and reserved, even sparse manners of improvisation, still, relying on her ensemble to find intuitively the right balance. 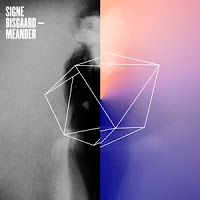 But with each listen, Bisgaard's unorthodox architecture of compositional ideas, fresh instrumentation and thoughtful arrangements, together with her unique sense of sound exploration, starts becoming decipherable. By then, it is already clear that the gentle, patient playing of all the ensemble musicians, especially Buchanan, has a strong and lasting emotional appeal. Bisgaard, as a pianist, takes a modest role in her arrangements. She plays a beautiful and contemplative solo on “Das Kleine Rote II”. She sounds as almost offering a philosophical perspective on the meeting between contemporary music and an improvised one. It's the middle of August, the Toronto Blue Jays are leading the MLB Eastern Division (with 11 straight wins), and local drummer Nick Fraser has just released an album on Portugal’s Clean Feed label. It’s hard to decide which fills me with more civic pride. I’ve seen Fraser perform a handful of times, mostly at The Tranzac (Toronto Australia New Zealand Club), a social venue sympathetic to new and adventurous sounds. He is a masterful colorist, and his measured, thoughtful shadings evoke the gentle artistry of Bob Ross. Dialogues with his bandmates appear intuitive and sincere, and unlike the Blue Jays, who last won a pennant in 1993, Fraser’s been steadily perfecting his craft in the city since moving from Ottawa in 1995. I’m proud of Fraser’s achievements like I am of trumpeter Darren Johnston and percussionist Harris Eisenstadt, two other Canadian-born artists thriving in the international creative music scene. Too Many Continents finds Fraser leading a trio with two heavyweight improvisers who need no introduction - pianist Kris Davis, and saxophonist Tony Malaby. On second thought, labeling anyone ‘leader’ of this date might be inaccurate. The three have been friends for twenty years and seem to communicate their ideas telepathically. On my second pass through the album, the cover image of The Art Ensemble of Chicago’s Nice Guys (ECM, 1979) flickers through my mind. You know, that wonderful black and white shot of the group seated around a gingham-clothed table drinking coffee? Too Many Continents sounds like that photograph. Natural. Comfortable. This is not to suggest that it doesn’t take chances or stray from familiar territory. Were the Art Ensemble ever tame or predictable? Neither are Fraser and company. Malaby is in top form, sputtering and bubbling above the others in ‘I Needed It Yesterday’, tethered by Davis as Fraser navigates. 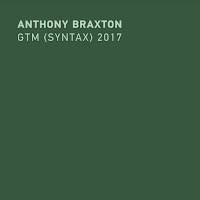 Davis employs a sustained single note pattern in ‘Nostalgia For The Recent Past’, fueling a restless Malaby to launch into a manic discourse. Fraser really seems to bloom at this point in the album, absorbing the energy of his companions, but never overshadowing them. There’s plenty of fire and fury here, bookended between the controlled burn of sensitive ballads. This album rewards repeated listenings. It’s wholly musical, well paced, and there’s not a wasted note within. There’s an undeniable bond between the three, and this kinship results in a totally organic, balanced session. 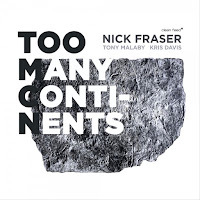 Nick Fraser’s Too Many Continents is a grand slam. Available at InstantJazz and Downtown Music Gallery. 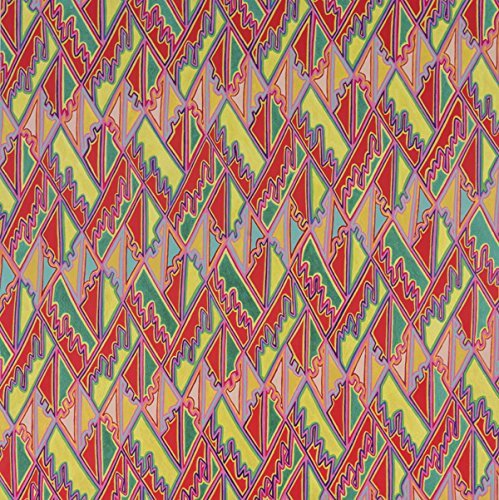 In a recent Invisible Jukebox interview in The Wire, Chicago bassist Joshua Abrams speaks about “constructing an environment” through his music. “One is creating a space to immerse the listener in sound,” he explains, “and creating room for slowness, for a different rate of attention perhaps.” Magnetoception, Abrams’s third Natural Information Society album for Eremite, demonstrates this concept wonderfully. 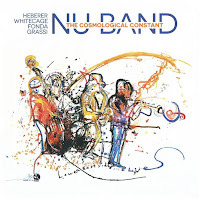 Fans of 2010’s Natural Information and 2012’s Represencing will find themselves in familiar territory here, marked most notably by Abrams’s guimbri (among his other instruments) but also by Emmett Kelly and Jeff Parker’s electric guitars, Lisa Alvarado’s harmonium, and Ben Boye’s autoharp. (Hamid Drake, a new addition to this particular project, plays a variety of hand percussion as well as drum kit.) But as a double LP Magnetoception gives the group a new opportunity to stretch out, breathe, and craft an immersive sound environment. The album opens with “By Way of Odessa,” a side-long piece whose meditative ambient patience, punctuated by Drake’s frame drum, focuses the listener’s attention not by grabbing it but by creating space for it. Eventually the guimbri picks up, before dying down again. 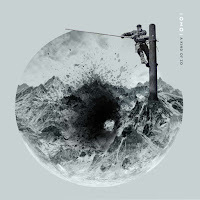 The rise and fall of the track’s energy foreshadows the album’s larger structure, more an organic sinuous movement with multiple climaxes than a simple linear escalation. 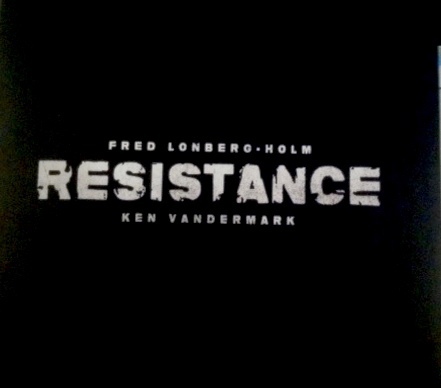 One climax comes at the beginning of the third side with “Translucent.” The tune’s odd-meter ostinato, carried by the guitars and Abrams on acoustic bass, keeps us entranced but alert, as if we’re burrowing down towards the heart of something, yet not quite there. That heart might come soon enough with the title track. “Magnetoception” finds the album at its densest and perhaps most dramatic, a tightly woven sonic textile of jittery muted guitar, insistent guimbri, and tireless drumming. The group’s natural, protean interplay is in evidence here too, with Drake wrenching the breakneck 6/8 groove into a shuffle for a few glorious bars at one point. Elsewhere brief solo interludes like “Of Night” (Abrams on clarinet) and “Of Day” (autoharp) provide contrast and help contract the scope of the music before opening out again. “The Ladder” brings things to a close with mid-tempo interlocking guimbri and tabla overlaid by shimmering autoharp and carefully measured guitar lines. 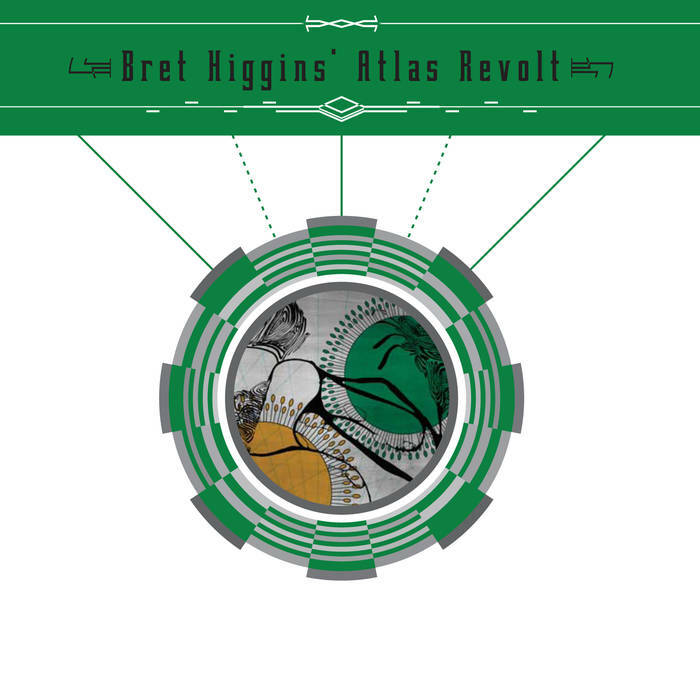 This final track leaves us neither too high nor too low, but safely in the middle ground of the album’s dynamic energies. And if Abrams is as inspired by the Gnawa tradition of ritual healing as he is by their use of the guimbri, then “The Ladder” can be said to deliver us out of Magnetoception’s restorative environment better than we entered it. Magnetoception is available in an attractive LP edition limited to 875 copies or as an iTunes download. Listen to samples on the Eremite website. A Gordian knot is an impossible problem—something hopelessly tangled and complex, unlikely to ever be unraveled. 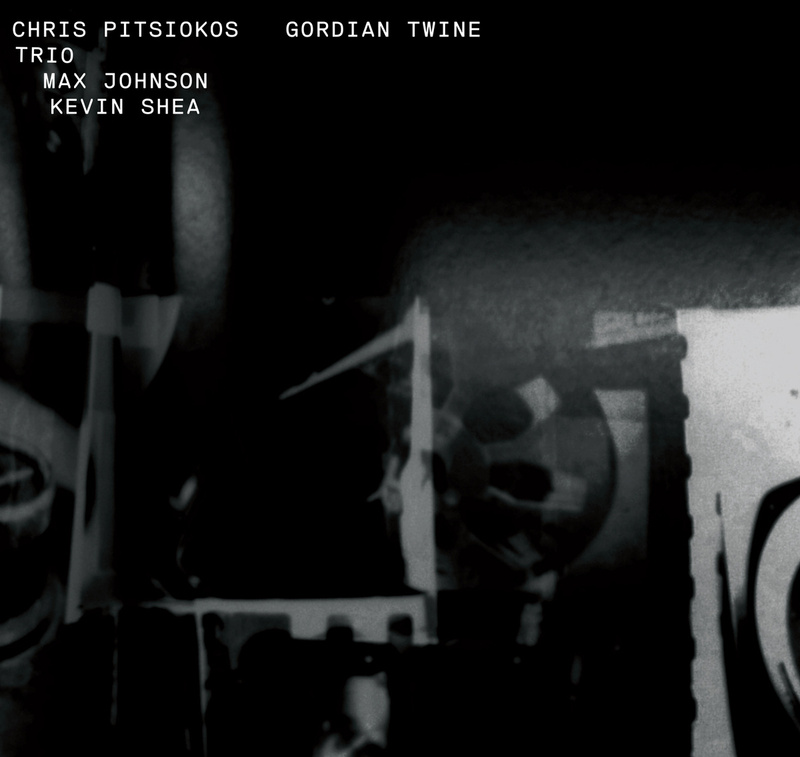 It’s a common metaphor, but before any music is heard, Chris Pitsiokos, Max Johnson, and Kevin Shea have already slyly changed its terms: Gordian Twine suggests not attempting to undo such a knot, but instead wielding the material to create one. 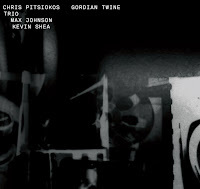 Gordian Twine is Pitsiokos’s first album as a leader. 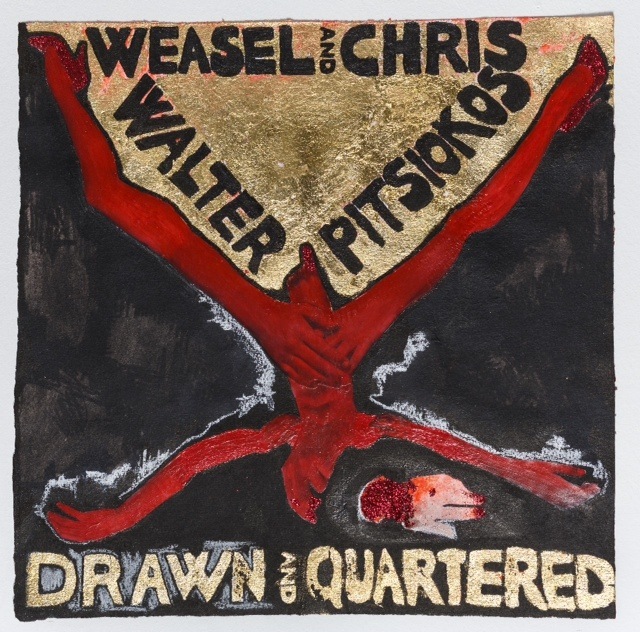 It’s a good proxy for Pitsiokos himself: a brash, youthful jolt that captures the current moment in NYC, both in personnel and attitude. Pitsiokos, a saxophonist with a chattery, Braxtonesqe playing style, has quickly been making a name for himself in the improv scene. Much like bandmate Max Johnson, he’s a young dynamo who is down to play with just about anybody, any time. 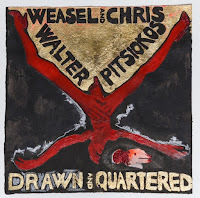 Pitsiokos says the trio is a vehicle for the gamut of his musical experimentation, and a bewildering array is unpacked over Gordian Twine’s thirty minute runtime: free improvisation, through-composed works, even graphic scores. 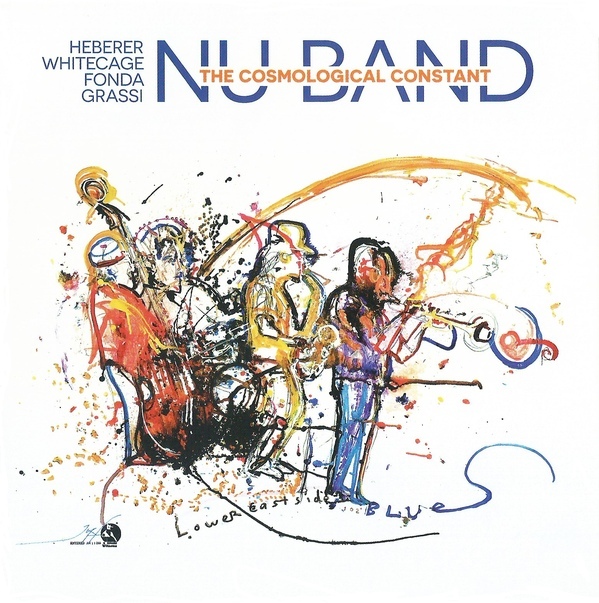 This mixture, heavily weighted toward improvisation, fairly lives up to a Gordian ideal: the threads of each musician truly entangle into something that could never be separated back into individual strands. A nervous energy infuses tracks such as “Clotho” (some tracks are named after the Three Fates of Greek mythology, which adds another layer of intrigue to the idea of “Gordian twine”). This isn’t to say the music is unsure. Instead, it feels always ready to burst at the seams, barely able to stick to the charts, so full of vitality and fire that it risks discharging in all directions at once. “Atropos” showcases some impressive circular breathing, while “Lachesis,” a sax and bass duo, finds its strengths in melody and pacing. Johnson, as always, is in top form; the man seems able to consistently, interestingly respond to any musical situation he’s plunked into. Shea’s drumming is aggressive without being overbearing, the sticks never lingering long enough in any one spot. Together, they sound ebullient, restless, a little deranged. Gordian Twine is a great jump-start, brief as it is. It has that searching, unsatisfied mien that glimmers within all great improvisation. The formidable work ethic of all three members guarantees it won’t be the last we’ll hear from them, and gig by gig, album by album, these guys are only getting better. There is a solemn beauty to Levin’s approach to composition. It stands in stark opposition to his ensemble playing, which is generally playful and light. Between the two lies something like artistic maturity, I think: an openness that becomes more prominent with the passage of time. Levin’s quartet has always been an interesting chamber-esque group that walks the line between improvisation and composition; but on Friction this balancing act reaches absolute fruition. To put it mildly, I think longtime listeners will be thrilled with this recording. The uninitiated should begin here. The centerpiece of the album is a track called “Chol,” which opens with a repeated bass note played by Torbjorn Zetterberg. Levin introduces a bluesy middle-eastern style melody over the top, sounding a bit like an homage to Hamza El-Din. Enter trumpet daredevil Nate Wooley as the phrases repeat, playing sweet harmonic counterpoint on what sounds more like a thin oboe than a trumpet. (What the hell is he doing now?) 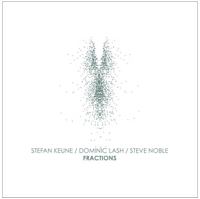 The third time Levin’s melody is repeated Wooley’s sound opens up to display a more conventional timbre. 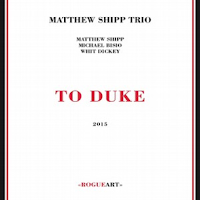 Matt Moran accompanies the trio by bowing the vibes (I'm guessing), creating a pillow of shimmering smeary tones on which the melodic structure rests. With the entire quartet now in the game, the piece becomes more intense. As Wooley rises above the band, Levin reshapes the lone minor chord this has been built upon. He stretches for blue notes and – at least once – goes in for a long major version of the chord. The swirling and spinning and levitating that has been taking place all around this simple structure eventually winds down, concluding with the original melody repeated slowly one last time. The only other aural artist I can think of who has done so much (musically) with so little (structurally) is J. Dilla. Although the clock says “Chol” goes on for 10.5 minutes, it feels more like three. Also included are a pair of duets: “Terrarium I,” between Moran and Wooley – and “Terrarium II,” between Moran and Zetterberg. Both tracks feel improvised but sound composed, especially as they arrive at perfect logical conclusions. “Particles” features short acoustic spurts that sound like a Stockhausen tape composition. An excellent mood piece called “Springtime” begins with a one-note drone from everyone in the band that fades in and out. The note changes. Again, again. Levin bows careful harmonics while Wooley rides his wah-wah. The sky rumbles and shakes, threatening but holding back. If any rain comes it will be gentle. 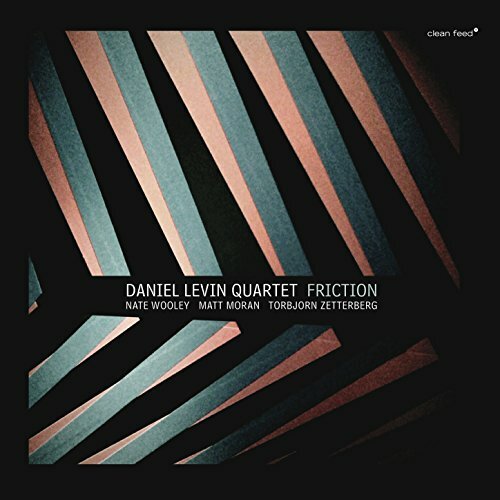 “Lyrical” serves as a companion piece to “Chol,” opening with Levin’s gorgeous, solemn bowing before the others join in for a resolution of the melody. Another passage opens, sounding like a beautiful European folk song. Wooley then solos over drawn-out bass and vibe chords in free meter before the melodic conclusion is played in unison with Levin. 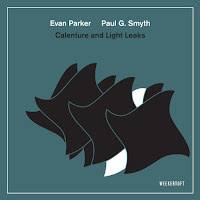 It is this perfect balance between structure and chaos, darkness and lightness, improvisation and composition, that makes this recording such a rewarding listen. There is frequently an atmosphere of friction; but it is always resolved. If any rain comes it will be gentle. 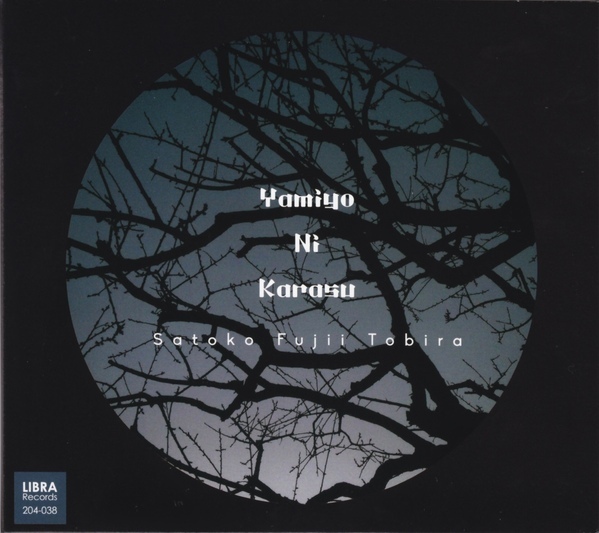 One time, some seven years ago, I wrote the following on Satoko Fujii's music "I can guarantee, with certainty, that, somewhere in 2087, in a bar on the planet ZOrghk942, when some legally extraterrestrialized, yet interesting jazz afficionados are thinking back about their favorite music at the turn of the century on planet Earth, that Satoko Fujii will come up in the discussion. Many - and I mean MANY - of the musicians that we think of as good today, will unfortunately have totally disappeared into oblivion, disappeared into a black hole outside history, fortunately together with some other zillion musicians who occupy radio space. What makes Satoko Fujii great? The answer is simple : she is music, she loves music, she creates new languages in music. And I mean indeed the plural of the word. She has more ideas in a year than most musicians in a lifetime, and she manages to create with each CD and with each line-up something exceptional, out of the ordinary, unique and yet accessible, relatively speaking then". So why do I refer back to this? 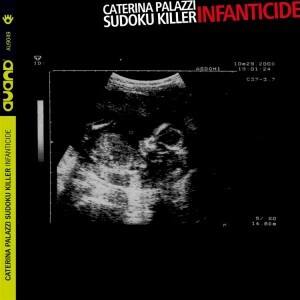 First, because my subjective statement is still valid (and still subjective), and second because she demonstrates this again with a new line-up, now with herself on piano, Natsuki Tamura on trumpet, Todd Nicholson on bass, and Takashi Itani on drums. As with each new band, this one also delivers the goods, not only because of the quality of the musicians, but because of the sound and approach that Fujii takes to bring yet another view on what her music can bring. On this album, not much seems prepared or composed. Fujii gives her band members lots of freedom, and Tamura kicks off with trumpet whispers, primeval sounds that generate reaction from the percussion, then the piano presents a great theme, somewhat triumphant and insistent in tone, sucking up the sound of the rest of the band, which like in a maelstrom gets attracted to the inevitable centre, and when this happens, silence emerges, and space is given to the drums, which changes the nature of the piece again, resulting in quiet piano, yet intense, somewhat changing timbre, eery, muted strings, clear sounds, inviting exploratory interaction with the rest of the band, chaotic, colliding, clashing, increasing in volume, relentlessly, the trumpet soaring, then the piano theme comes back again, forcing the rest of the band into its powerful drive, aligning forces in the same direction, hammering, pounding, then full stop and quiet chords and harmonies, subtle and gentle, opening space for the bass, followed by a more quiet moment by the quartet. Fujii is a big picture thinker, someone who likes broad sweeps of sounds, and strong contrasts between the violent and the quiet, the composed and the improvised, between chaos and discipline, yet always with careful attention for the little details and the emotional depth which bring the music so much further than just some theatrical dramatic effects. And of course not to forget the inherent beauty of the compositions. It’s great to see Clean Feed adding a veteran of Mario Pavone’s stature to its roster. The label has done such a fine job in recent years of documenting many of the most creative and forward-thinking artists in jazz and free improvisation, and bassist Pavone certainly deserves to be in the conversation as one of them, especially when it comes to the piano-bass-drums trio format, arguably the most appropriate showcase for Pavone’s distinctive talents. A couple years ago Pavone released Arc Trio, an exceptionally fine outing with Gerald Cleaver and Craig Taborn. 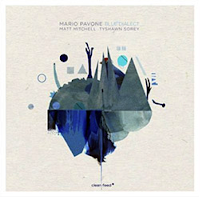 And with this iteration of Pavone’s trio (what he calls “Arc Trio Blue”) we have Blue Dialect, this time with the no-less-impressive Tyshawn Sorey on drums and Matt Mitchell on piano. It’s another superb entry in Pavone’s catalog of expertly-crafted post-bop recordings. 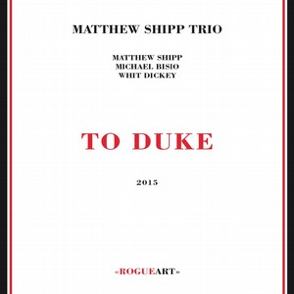 As expected, the trio’s musicianship is first-rate. Mitchell in particular is a revelation, with a seemingly endless array of patterns and phrases at his command; his two-handed runs are especially convincing and effective. He’s able to articulate the serpentine logic of Pavone’s compositions while at the same time pushing them forward, putting his own stamp on them. Sorey’s understated, sympathetic and fluid drumming is the perfect rhythmic foundation for pieces that sometimes develop unpredictably, with subtle shifts in dynamics and tempo. And as always, Pavone is a marvel, staying in close rapport with Sorey and Mitchell even while undertaking his own high-wire explorations. 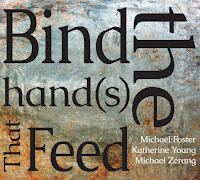 Highlights include the second cut, “Xapo,” a Monkish piece, deceptively simple, that allows plenty of room for Mitchell’s relentless investigations; “Silver Print,” featuring Sorey and Pavone in extraordinary near-telepathic conversation, both goading and responding to Mitchell; and “Trio Dialect,” a forceful, propulsive group improvisation with far more ideas than seems possible in under five minutes. A Free Jazz Blog experiment ... concert reviews! 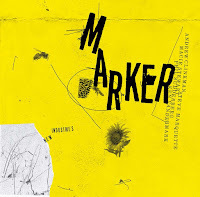 Colin Green leads off the effort with a review of Konstrukt's show in Manchester, England, this past Wednesday evening. Let us know what you think about this venture. 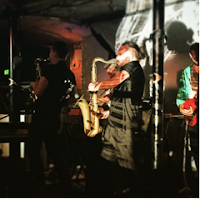 Konstrukt have been touring Europe, including Venice (where they recorded themselves as a double quartet – sounds interesting) Berlin (where they were joined by William Parker, who was apparently dancing) and London’s Cafe OTO (with Alexander Hawkins (piano)). Two days later, they played at Islington Mill in Manchester, a converted industrial mill that serves as an exhibition and performing space and houses creative artists in a variety of media, some of whom joined Konstrukt for their second set, along with local musicians. Konstrukt have a recently released album: Kaish: Live At Kargart (Holidays Records, 2015) a performance with Akira Sakata from this January (recommended). Since that recording, the line-up has changed, with a new rhythm section, and they now consist of Umut Çağlar (keyboards, electric guitar, woodwinds, reeds); Korhan Futacı (tenor and alto saxophones, voice, percussion); Barlos Tan Özemek (electric bass); and Berke Can Özcan (drums). The new members – the electric bass, in particular – have given Konstrukt a more hard-edged, muscular sound. There’s still the same flexibility as before: lines and patterns swerving in multiple directions, but with a better internal balance and no danger that the front-men will obscure the often dislocated rhythms behind them. The music is less diffuse, but has gained in clarity. 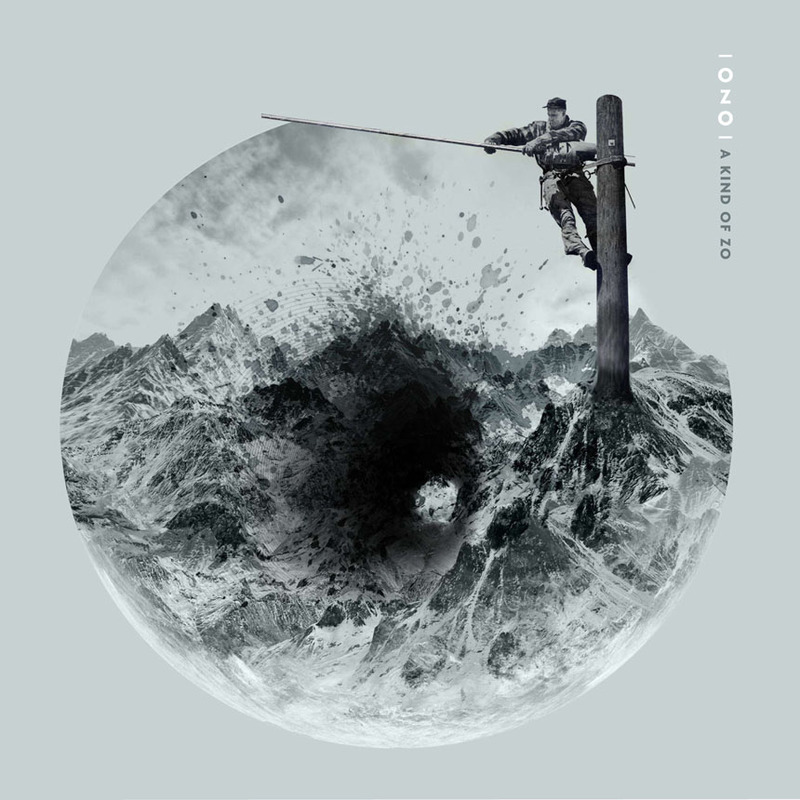 Part of Konstrukt’s appeal is the sense that their music occupies several different spaces at the same time, areas that are now more sharply defined. As before, their music can teeter on the edge – a feeling of heightened spontaneity – and the first set closed with a gloriously chaotic up-tempo thrash. For the second set, Konstrukt were joined by local musicians Graham Massey (B-flat and alto clarinets, electric guitar) and David McLean (Fender Rhodes and tenor sax) together with Sam Weaver (modular synth) who is enjoying a residency at Islington Mill (although unfortunately, he had to retire early due to technical problems). In addition, we had Rachel Goodyear, who provided “live drawing” projected onto the stage, using graphic images, wet ink and fabrics, all of which provided for a novel and busy second set. The combination of an electric-Miles sound of swirling piano, alto clarinet, echo-effects and drones, spurred on by propulsive bass and drums – and with projected images on top – made it feel like the early Seventies (though I suspect I was the only member of the audience who could remember multi-media performances from that far back). 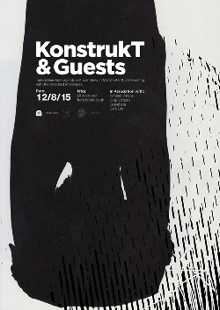 The open-ended nature of Konstrukt’s music lends itself to the guest appearances of which they’re so fond. There’s plenty of space left for others to make their mark. There was some nice double saxophone work from Futacı and McClean, rising to a fever-pitch, and towards the end we had unison horns playing Stax-soul riffs over a blues-rock base – stirring stuff. There’s nothing like live music. 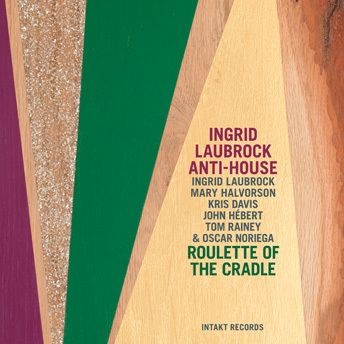 Roulette of the Cradle, the latest release by Ingrid Laubrock's Anti-House - an ever expanding elite group of New York improvisors - begins with a solo drum. It soon switches to solo slide guitar, which then collides into the piano for a climatic ending. 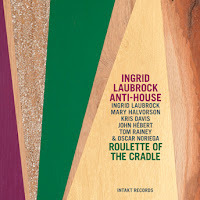 The following track, 'Roulette of the Cradle', continues this game, and one wonders if in fact if there is an order or not, or just how the passages were scripted, if at all. It's hardly a question even worth pondering as the series of passages, passing from musician to musician, build up with a lurching intensity. 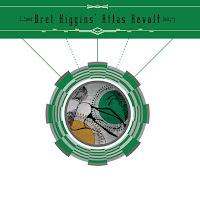 The song that eventually emerges, with pianist Kris Davis leading the way, is a driving uptempo piece. The Anti-House woodwind section has been enhanced with the inclusion of clarinetist Oscar Noriega, which creates a whole new set of choices and options for the group. Convoluted and intertwining, the musical lines of the title track lead knowingly into 'Face the Piper, Part 1', which begins lightly with Laubrock favoring the upper register of her soprano sax and Halvorson plucking out choice notes to shadow her. During the track, John Hébert's bass slides about thoughtfully in the background, along side Tom Rainey's rumbling percussive textures. The sonic landscape they create is unique - small crescendoing hills and meandering melodic brooks dot the horizon, until they reach 'Part 2', where they enter what I'll call the valley of dry bones. Here, Rainey's stick work and Halvorson's unvarnished tone deliver an introduction that keeps going until the the sax and piano breaks things up with a unison melody. 'From Farm Girl to Fabulous, Vol 2' apparently picks up from where 'Vol 1' ended on Anti-Houses' last recording, Strong Place. The tune showcases a sound-collage oriented side of the group - but not without also rocking out fabulously. Finally, 'Red Hook' benefits from both playfulness and pathos woven into its composition. The compositional approach on Roulette of the Cradle brings together the best aspects of each musician's playing. It's most likely safe to suppose that they have all worked together enough now to interact purely on an intuitive level, but more so than just improvising, there is an arc and progression to the songs that speak to the leader's compositional prowess as much as the individual contributions. 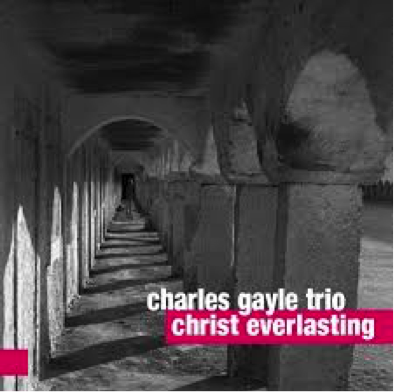 A highly recommended recording, no doubt!